Need to get from point A to point B in Antwerp quickly? Then why not take a taxi as it will bring you to your destination in a fast, safe and affordable manner! 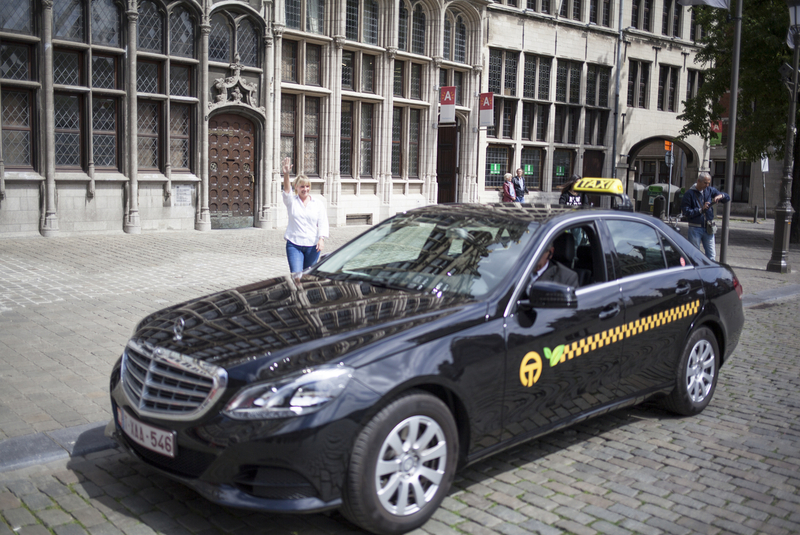 The Antwerp taxis can transport up to four passengers while taxi buses can transport seven to eight passengers for the same price. The official taxis, with a permit from the City of Antwerp, all have an illuminated taxi sign on the roof and a red plate on the front of the car. You pay a uniform tariff, which is controlled by the city. The tariff is always shown on the taximeter in the car. When you arrive at your destination the taximeter will automatically print out a ticket with the taxi company’s name and phone number as well as the phone number of the local police, for any questions or complaints you may have.